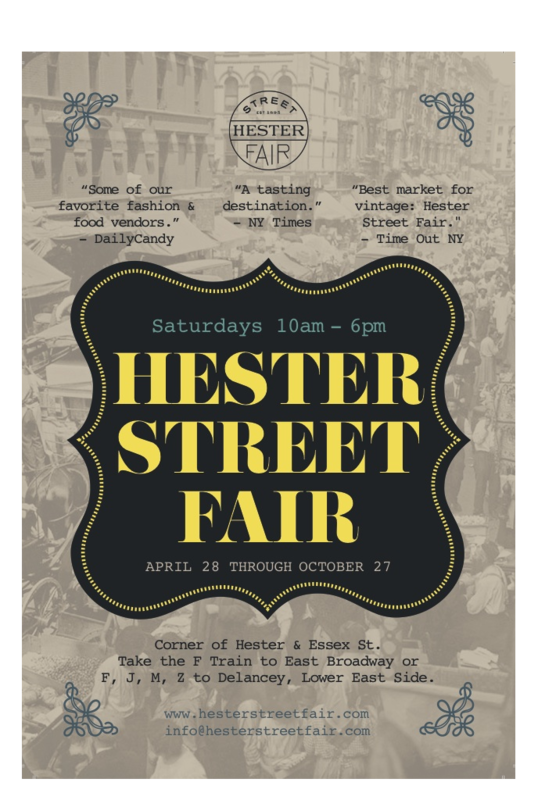 The Hester Street Fair, celebrating their third season, will be open every Saturday in the Lower East Side starting Saturday, April 28 through October 27th. Each Saturday from 10 a.m. through 6 p.m., the outdoor market offers shopping selections from gourmet local foods to handcrafted accessories and vintage clothing. Every downtown diva and dude can find cool wardrobe additions and one-of-a-kind gifts! Does shopping make you hungry? 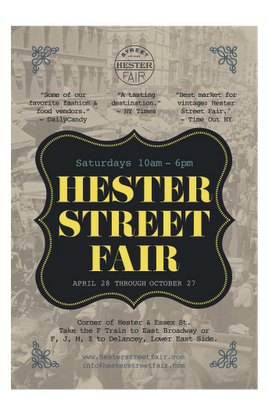 Foodie favorites at Hester Street Fair include Luke’s Lobster (serving the city’s favorite lobster roll), Melt Bakery (scooping out indulgent ice cream sandwiches) and La Newyorkina (freezing gourmet ice pops to cool you down all season long) just to name a few from the long list of delicious vendors. Check out the full opening day line up and menus! Hester Street Fair. Corner of Hester & Essex St.